Yesterday we sat for an hour and listened to a lecture about conflicts of interest. Evidently you can’t take money to tutor your students. You aren’t allowed to accept gifts of over $50. I could’ve sworn Klein made it 5, but my memory fails me. We learned you need a waiver for conflict of interest to work in Macy’s. Also you need one if you wish to work in St, John’s or any private school as an adjunct. (I guess the thousands of DOE employees who already do it are up for discipline). You don’t need one for working at a CUNY or SUNY school. There’s some reason why, but I didn’t understand it. However, you don’t need a waiver to go to a soup kitchen and feed the homeless. Things like that are fine she said. Several people got up and said I do this or that, and the woman said she would talk to them afterward. One (not me) mentioned working for the UFT. For the record, I’ve been paid by UFT to give PD, so if anyone wants to come after me for my unspeakable criminal activities, feel free. I’ll post all summonses and accounts right here. I’m always looking for a new blog. A member got up and said these regulations violated his rights, and perhaps the US Constitution. He said maybe there should be a law suit about this. This provoked applause. The woman said he was absolutely wrong. Someone already had brought this to court, and of course that person lost. There are rules. Everyone must follow the rules. 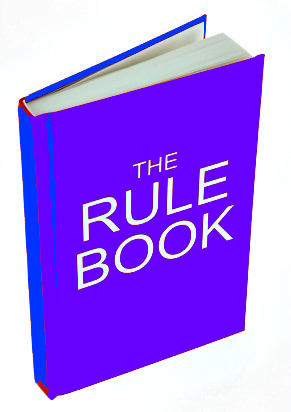 It doesn’t matter whether or not we like the rules. Rules is rules. I was curious about the concept of rules is rules, so I broke a longstanding resolution to never ask questions at meetings. I’m fascinated by the concept of rules being rules, I said. It’s really interesting that everyone has to follow rules. I’m really curious about the notion that we may or may not like rules, but we have to follow them anyway. I asked whether that line of thought applied to the UFT Contract. Does the Collective Bargaining Agreement apply only to UFT members. or do DOE employees have to follow it too? The woman said she didn’t understand what I meant, so I explained it again. Do the terms of our Contract apply to us only? Do administrators have to follow them too? Do they have to follow the terms of the Contract even if, for example, they don’t agree with them? Later, though, she talked about 3020a proceedings and due process. Or they could fine you $25,000 or more if you left early to go to your second job. Evidently, she is well-informed about rules that apply consequences to teachers. Go figure. In any case, the woman couldn’t understand the question. Why was I asking this question? She was there to speak about conflicts of interest and this didn’t apply to that. An administrator kindly informed me that the woman was not a contract lawyer. So I guess I’m not qualified to understand the fine points and subtleties of being a DOE contract lawyer. I mean, I read the contract and it says 34 is the class size limit. When I see a class of 38, I say to myself, “That class is oversized.” Of course, I haven’t been to law school so it’s hard for me to understand how 38 ls less than 35. Now I don’t generally like to brag, but I’m a high school graduate, and I distinctly remember stuff like 38>34. There were, of course, some very interesting ethical questions. It’s unethical, evidently, to practice nepotism. So you can’t hire your daughter to do some job in your organization, especially if she’s totally unqualified.